Great food. Great service!! They seem to go out of their way to make sure you're happy Eaten here 3 x's. So far very consistent No complaints. Always great food, atmosphere, and the servers are top notch!!!! Great customer service! Food is delicious! Never a fail! When my friends visit and want to go to a nice relaxing restaurant I bring them here! 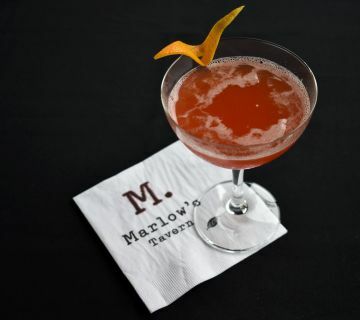 If you’re looking for a place where the classic and contemporary combine, then Marlow’s Tavern is it. 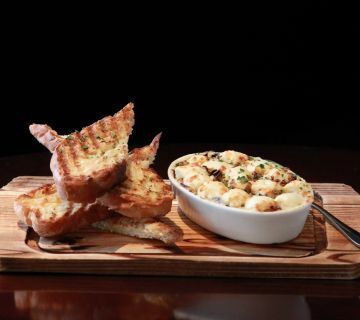 From the ambiance to the style, the food, and the drinks, we take those classic comfort favorites of your tavern experience and give them a modern flair. 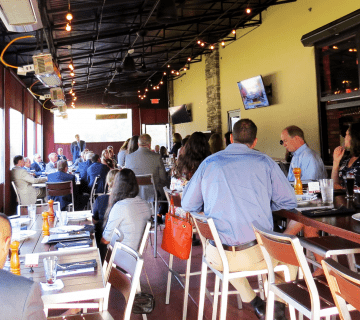 If you’re looking for the best restaurant pub in Brookhaven, GA, with handcrafted food, quality cocktails, and an atmosphere that can’t be beat, then come see us. This is where classy meets comfortable, and where the food always hits you just right. Marlow’s knows how to relax and have a good time. Whether you want a new place to go out and meet up with friends, coworkers, or your family, you can come together here for a great meal. 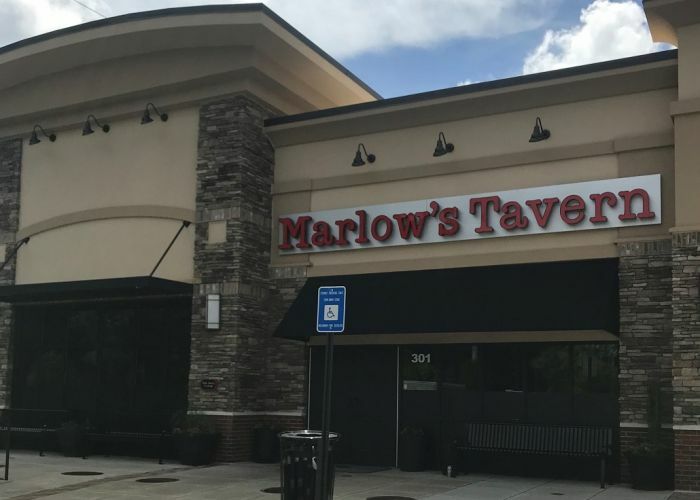 The open kitchen style, classic tavern seating, and patio dining option all cater to the comfortable, classy combination that lies behind Marlow’s design philosophy. It’s what makes Marlow’s such an ideal place to grab a bite to eat and catch up with old friends. Feel free to check out our online menu to become more familiar with our food and drink options, our dining hours, and any upcoming events. 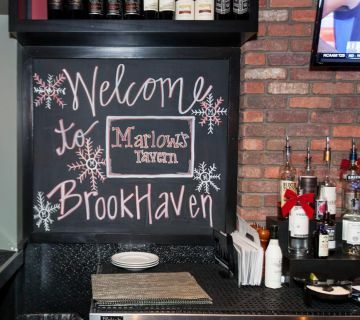 If traditional tavern food is your favorite thing, then check out our restaurant menu for Brookhaven, GA, and see how we take things up a notch. We do traditional burgers, and we also offer burger options with a fresh zest of flavor combinations, if you’re looking for something new. 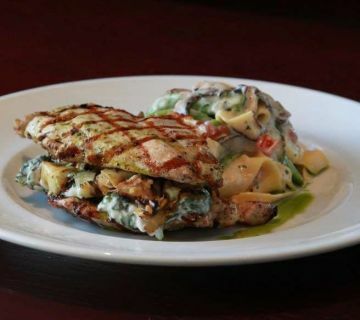 We offer a few more adventurous entrée choices, fresh salad options, and a kids’ menu that’ll have the pickiest eater satisfied. 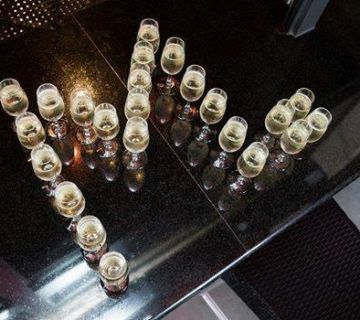 Our drinks menu includes a vast wine selection, handcrafted cocktails made to order, and a beer selection of both local and imported varieties to compliment your meal. 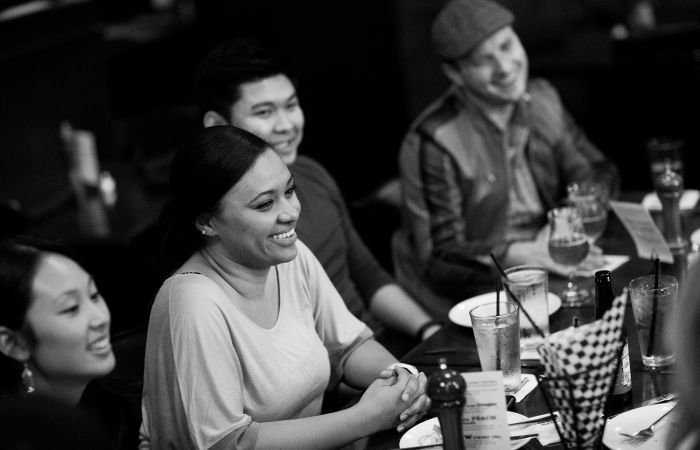 Marlow’s Tavern is all about creating a space for community to grow. Whether it’s sharing a meal together or doing what we can to give back, Marlow’s believes in the importance of our people. This is one reason why we make it a priority to aid our local community through charitable giving, or participating in fundraising initiatives that we believe are at the heart of our community, and of who we are. You can find out more about how Marlow’s gives back at our community and events pages. If you have any questions about events hosting, large dining parties, or the food and drink options we have available, then feel free to contact us! We’d love to hear from you soon at our Brookhaven, GA, location.